As you would expect, Reflection Lakes features some lakefront homes. The views overlooking the lake are immaculate in this private gated community. And the lush mature landscape with palm trees and tropical greenery accent the architecture perfectly, making for a truly resort feel inside Reflection Lakes. The many amenities included in the neighborhood are wonderful; it’s a wonder why anyone ever leaves. Basketball and tennis courts, a clubhouse, community pool and spa, exercise room and play area are all provided inside Reflection Lakes. Plus, residents will enjoy the attractions in the 33907 zip code of Fort Myers, which range from restaurants to beaches to nightlife. A plethora of restaurants and shops are located just around the corner from Reflection Lakes in Fort Myers, FL, including Jason’s Deli and Lush Bakery to name just a few of the many that are scattered throughout the area around the neighborhood. Not only shops and restaurants, but a number of schools can also be found just around the corner; both private and public schools; Cypress Lake Middle and High School being the two closest to Reflection Lakes. Within the neighborhood itself lies a variety of amenities for residents. A community pool, tennis courts, billiards room and clubhouse are available to residents, plus a number of other attractions. The community is gated and reflects a tropical resort with lush greenery and Palm trees decorating the landscape. The real estate available in Reflection Lakes is characterized by its concrete block construction and stucco veneers that give the homes an authentic feel. Arches and columns are popular accents to the architecture that only thicken the original style of the real estate. Much of the real estate for sale in Gulf Harbour in Fort Myers, FL features gulf access; some of the homes afford direct gulf access, although the neighborhood is so close to water that every home is within reach of the gulf. Besides the gulf, Gulf Harbour affords residents a multitude of amenities, including a fitness and spa center, tennis courts, clubhouse and an 18 hole golf course just to name a few; the community is gated to ensure maximum privacy and security as well. Outside Gulf Harbour, restaurants and shops are plentiful, and many are just around the corner from the neighborhood. La Casita Authentic Mexican and Sakura Chinatown are two of the many restaurants within a mile or so from Gulf Harbour. The homes themselves feature concrete block construction with stucco siding. Slate and tile roofs give the homes an authentic feel and archways and columns are popular accents to the architecture that make each house stand out. The neighborhood is situated within Lee County, zip code 33908, which boasts a variety of public and private schools. Palm trees and lush greenery decorate the landscape of Colonial Country Club in Fort Myers, FL, giving it an authentic feel that is only accented by the real estate itself. The majority of the homes feature concrete block construction with stucco siding, along with slate and tile roofs and architectural accents such as columns and arches. The neighborhood is a gated community that is full of amenities, including a community pool, championship golf course, tennis courts and clubhouse to name a few. Colonial Country Club is also within reach of a variety of restaurants and shops; Bajio Mexican Grill and Buffalo Wild Wings are two examples of restaurants which are just around the corner from the neighborhood. Schools, both private and public, are within reach of Colonial Country Club too and beaches are plentiful around the neighborhood. I-75 runs close to Colonial Country Club for convenient travel to the farther reaches of the city and beyond. The gulf access luxury homes available in Caloosa Creek exemplify what the Southwest Florida lifestyle is all about. The Daniel Wayne constructed homes in this gated community are accented by the wonderful community pool and tennis; and the close proximity to shopping, dining and entertainment. And, like any good Florida neighborhood, water and golf are close at hand. The subdivision is just a few minutes from Sanibel Causeway and Fort Myers Beach and Kelly Greens Golf and Country Club. 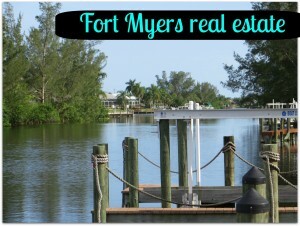 As a bonus, these Fort Myers waterfront homes in Calossa Creek is a shell hunters dream. All this is located in the 33908 zip code in Lee County, which makes it very convenient to access any kind of entertainment. Caloosa Creek in Fort Myers, FL features a mix of ranches and Cape Cods with great architectural detail. The gated community is beautifully maintained with lush greenery and sidewalks which allow for safe travel to the variety of attractions that surround the neighborhood. Restaurants and shops flourish just outside Caloosa Creek, including Starz Restaurant and Pizzeria and Roadhouse Café Inc. Beaches are also just around the corner from the neighborhood and Sanibel is just minutes away. Lying within Lee County, a variety of public and private schools are available; Heights Elementary School and Summit Christian School being two of the closest to Caloosa Creek. A number of amenities are included inside the neighborhood itself, like a community pool, club house and tennis courts, which are open to all residents within the neighborhood. Situated along the Caloosahatchee River, St. Charles Harbour in Fort Myers, FL features stunning architecture. Stucco veneers with tile and slate roofs are the norm for the real estate, with architectural accents like archways and columns, giving the homes an original and authentic feel. The landscape of the neighborhood accents the homes perfectly with lush greenery and palm trees. A variety of amenities are included in St. Charles Harbour, like a clubhouse, community pool and tennis courts just to name a few, as well as access to the Shell Point Golf Course. Outside the neighborhood, there is a plethora of attractions. Restaurants and shops, like Crackerbox and Starz Restaurant and Pizzeria, are just around the corner. 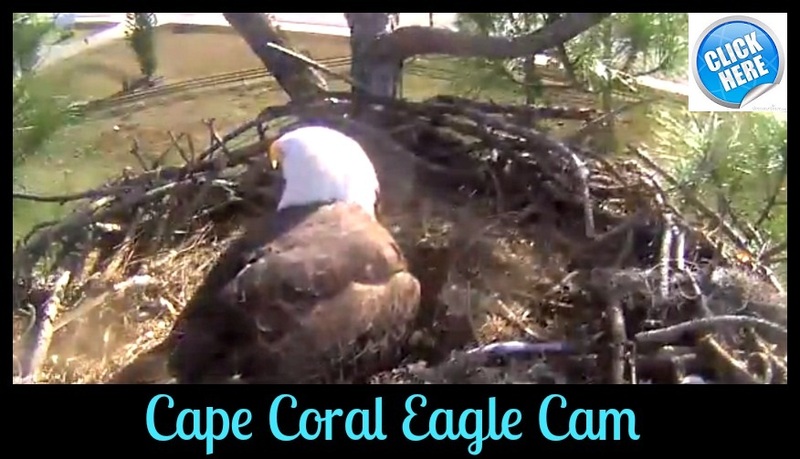 Both private and public schools are available; Heights Elementary School and Southwest Florida Marine Institute are two of the closest schools to St. Charles Harbour. Many of the homes in the neighborhood have views of the river and the gulf, as well as having direct access to the gulf. Another beautiful gated community in Fort Myers, FL, Harbour Isle features a variety of amenities to satisfy all its residents. A community pool, tennis courts and fitness center are just a few of the available services in Harbour Isle, not to mention the deep water marina. The real estate for sale in the neighborhood is rich with architectural detail. The majority of homes use stucco veneers with slate and tile roofs, along with arches and columns to accent the fine architectural designs. The neighborhood is also in a fine location in relation to the attractions surrounding Harbour Isle. Restaurants and shops are just around the corner from the neighborhood, including Bratwurst House and Rondao’s Pizzeria and Sports Bar, just to name a few. Both Cape Elementary School and Heights Elementary School are also close to harbor Isle, plus a number of other private and public education institutions. 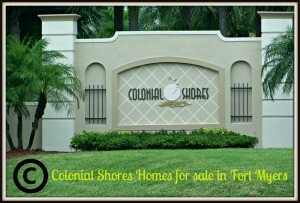 The Colonial Shores homes in the 33908 zip code are extremely close to the Fort Myers beach. These homes are located off of McGregor Boulevard and they have real estate available near Iona Cove and in Fort Myers close to Sanibel Island. Nearby, there are restaurants, shopping and easy access to the Southwest Regional Airport. In Colonial Shores, there is a community pool, a picnic area and also a children's play area. Colonial Shores in Lee County, FL rests in a very desirable location; restaurants, like Starz Restaurant and Pizzeria and Crackerbox, are just around the corner from the neighborhood, as well as shops like Guitar Studio and N Style Direct. Both private and public schools are available in the area surrounding Colonial Shores; Summit Christian School and Heights Elementary School being two of the closest schools to the neighborhood. The neighborhood itself comes with a multitude of amenities. A club house, community pool and exercise room are just a few of the facilities available to Colonial Shores residents. Sanibel Island and Fort Myers beaches are just a few minutes away and lakes are available just around the corner. The real estate in Colonial Shores consists of stucco architecture accented by slate and tile roofs with columns and archways. The neighborhood lies within a gated community and is easily accessible from the SW Regional Airport.